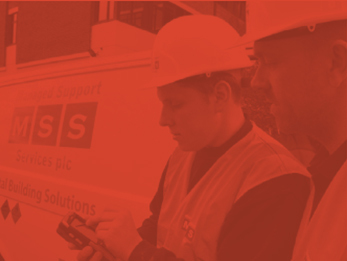 Managed Support Services (MSS) plc has more than 30 years’ experience developing and implementing tailored building services and compliance solutions across the UK. MSS plc was acquired by Rentokil Initial in November 2011 and now trades as Rentokil Initial – Facilities. MSS plc did not have an operational system in place. Company data and information was stored on multiple spreadsheets that were often incomplete, inaccurate and contained duplicate data. “Administrators would spend hours updating schedules that would be out of date within a few hours, proving to be a time consuming and resource-intensive use of time” says Piers Wilson, Financial Director at MSS plc. Simple processes used to take hours and as the business grew, MSS plc found it increasingly diffi cult to keep updating business critical information that was essential for day-to-day operation. approached but Sentis Managed Solutions quickly stood out and impressed MSS with in depth knowledge of the industry and how quickly they understood their business requirements. “Our dedicated project manager, provided by Sentis, interviewed key staff from each department so that we had a clear and concise list of requirements from across the organisation. He was available to advise us through each stage of the selection process and provided an independent view. Sentis helped us visualise the perfect solution and effectively communicate its benefits to each department, so that they bought into the idea from the start. This was crucial to its success” Piers adds. Sentis’ project manager prepared a comprehensive project plan with achievable goals and milestones to ensure the process was fully controlled and structured. Sentis took full responsibility for the software implementation, making sure all internal deadlines, commitments and goals were being met. They worked closely with the implementation team to ensure that the configuration was completed to schedule and the system was fully tested. 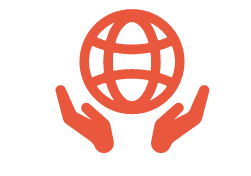 The new ERP software, Nucleus, gave MSS a complete FM solution that fully integrated with its accountancy software (Sage 200). It optimised process efficiency, accuracy and productivity on a daily basis through a single facility that provided a seamless flow of information across locations, divisions, operations and projects. “Nucleus transformed our business – projects stayed on time and within budget, driving significant long term cost savings” Piers comments. “The solution met all our expectations and also added value to our customers. Our clients could log into the system to review account information and reports in real-time, giving them full visibility of their data and contract performance”. This feature improved customer service and significantly reduced paperwork and administration. MSS had complete and accurate information and reporting for the first time, to make informed business decisions based on fact. The system was flexible and could be easily adapted to meet MSS’ changing needs. Six months after the implementation, the software was integrated with Masternaut vehicle and PDA tracking so that Engineers could receive job information automatically, without wasting time trying to contact the office, improving staff morale and increasing efficiency.